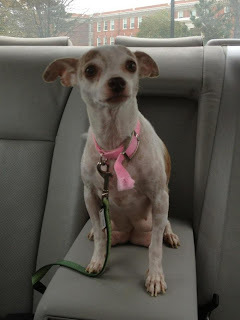 We adopted this Chihuahua today. She needs a name. My only condition is that it be a Manson name. What should it be? Cupid for Bobby. We recently found to newborn kittens in an abandoned house we were doing work at, they are named Sadie & Gypsy. Sorry, I didn't read that it was a girl. Abigail or Ouisch. OK, something with a Latin sound for a first name, with a last, and applicable name for those times when she doesn’t ‘make it’ to the back yard in time. Olanchaaaaaa come here girl, gooood dawgie, gooood dawg. Olancha Barker! Who did that on the carpet?! I lost my dog a few months ago. Her name was Sadie. Soliel instead Beausoleil. Sun instead of beautiful sun. How about "Lotsapoppa" aka Bernard Crowe. Personally I wouldn't go for a "bad guy" name. Yana wins. Only because it's a pretty name. It's not too late to rename that cat Juanita. Zezozezo Zadfrak Zoe or what ever the terrible name was Sadie bestowed on her baby. PPatty is that not what I told you in April? Huh Huh?!! The Patty's look at animals like potato chips, weed and cocktails-you can't just have one! FYI-Some useless info for you all- my dog is named after Sadie. Patty resembles that remark, Liz. Mr. & Mrs. Patty have Ziggy, Zoe, Zeke and Zelda. Zezo is next. Matt, Patty thought that "lulu" was a done deal? What did you decide on? She has much larger breasts than any of the Manson girls, BTW. We have another pet named Lucy. Lulu is too close. El Coyote and Shorty really cracked us up. Zuzu actually made it to the finals. We didn't want to name her after any of the TLB participants but Yana is pretty and it suits her. She is blindly loyal to the wrong person! 2)Soupspoon. Wow, Soupspoon would be a perfect name for this little cutie. I meant 3 suggestions, not 2. Typo! Lucky dog, this nameless angel. I sometimes call my two youngest kids Soupspoon and Squeaky, and they have no clue why. Oh sorry didn't see you picked Yana. Nice choice. I think if you had two dogs, Yana and Cielo would sound cool. In fact if I ever get two new cats I will call them Cielo and Waverly. Even children could be called this. (Maybe). my vote would be for ruby or pearl. i almost got my sister to name her daughter lulu. she named her lily instead. of course she didn't know the significance of lulu to me. my cats are named cupid and gypsy. i had a friend who called his unborn son clem,his wife hated that.